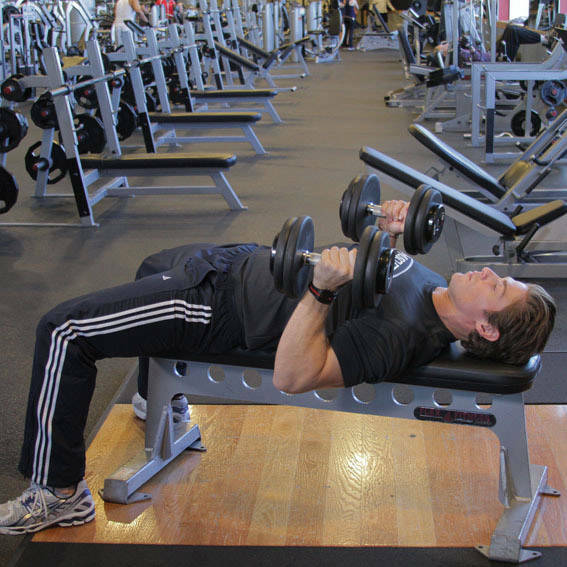 Take a dumbbell in each hand and lay back onto a flat bench. Your feet should be flat on the floor and your shoulder blades retracted. Maintaining a neutral grip, palms facing each other, begin with your arms extended directly above you, perpendicular to the floor. This will be your starting position. 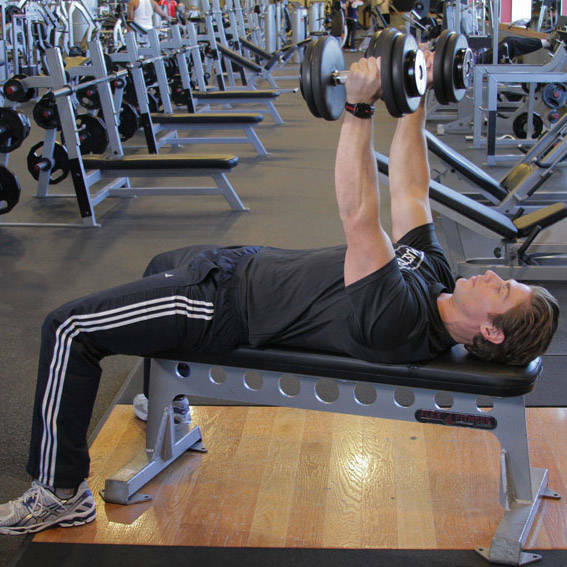 Begin the movement by flexing the elbow, lowering the upper arms to the side. Descend until the dumbbells are to your torso. Pause, then extend the elbow and return to the starting position.